45 pages in and I'm having a hard time enjoying this book. The premise is a great meet cute, two people meet over a book that dares them to go searching for clues in a scavenger hunt style and they get to know each other with each dare completed. However! The two main characters are insufferable. Granted, they sound plausibly like teenagers with their egoism and surly hipster entitlement, but their good qualities have yet to surface. The moments where you reveal their backstory and nuances seem forced in the back and forth questions done by the book transferring. Also, actions speak louder than words. In their quest to finish the dares, they have snapped and insulted random people who do nothing to earn their ire. Dash sneering at a woman buying mittens and Lily screaming at some mothers who are carting toddlers with them simply for complimenting her, how could they be let out in public? This makes it really hard to identify with their problems, especially when they're relying on the cooperation and kindness of others to do this scavenger hunt. I'm hoping Cohn and Levithan turn it around once they meet, like Levithan managed with the eponymous Will Grayson, but so far I'm unimpressed. ETA: I'm also beginning to think the writers aren't putting as much effort into it as they should be. Cohn writes Lily, who is supposedly a very literate teen, mentioning Hermione Potter. I'm not a Harry Potter fan but I know the childhood friend doesn't share his last name. It's a careless mistake that is really glaring. Meanwhile, Levithan mistakenly attributes Plato's commentary of soulmates in Symposium with his agreement of the subject (which is not the case since it was Aristophenes, not his beloved Socrates, who brings up the argument) but this one is more forgiving of an error. However, these mistakes speak to a greater problem. It's one thing to believe the narrators are simply incorrect, sometimes their unreliability and know-it-all exposition could create great nuance, but these mistakes seem author made. In addition to the fact that neither of these kids really get called on it, I'm losing the hope that this is a Salinger case of writing a character who can be aggravating while still making an outside social commentary, and believing they simply share the aggravating views of the people they're writing about. ETA2: Upon finishing the book I can say with certainty that the characters do not get better. Dash is given a moment of sympathy when his meet up with Lily is found to be as disappointing as mine, but he really doesn't grow and he's still the same prickly jerkass hipster he started out as. Lily actually gets worse, where her supposed moral ground of loving animals and turning vegetarian after her gerbil was eaten in a classroom accident is quickly wiped away once she meets the boy responsible, comments how he's become a worse specimen of human being, and decides she wants to flirt with him. The major problem is these characters are given to us with the expectation that they be found lovable. Except the times they are given praise, it feels insincere. 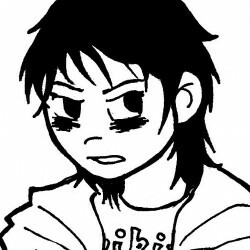 I don't believe Lily's family members when they voice their protectiveness, even as she lies to them, ignores their well-wishes, and generally acts like a brat. I don't believe Dash's friend Boomer, when he lists out how loyal and sensitive Dash is if you get to know him, because Dash's own narration never demonstrates this to Boomer. The secondary characters are quirky but have no depth beyond their quirks. They exist to facilitate Lily and Dash's annoying meetings. This gets worse when you notice the hipster referencing, such as "Officer White, who is black" friends of Lily's grandfather being referred to the name of the food they made because their real names were too hard, or Langston's boyfriend who promptly shacks up with the brother and says nothing to Lily beyond Spanglish-riddled commentary on her clothing, and into somewhat offensive. In the end, the characters are bad, but the story is too. There is nothing interesting beyond the premise, and even the climatic meeting seems like it really was a moment where the two authors didn't know how to reconcile them so just threw them in a situation due to a rampaging dog. This book isn't a complete waste because the authors can write humorous and sometimes heartfelt passages. I've seen it in their other works and there are half-formed glimpses of it here. 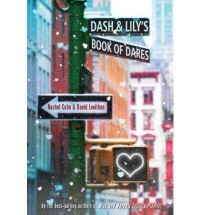 But the absolute travesty of Dash and Lily's Book of Dares is that it's so insincere. It's a collection of winking asides and parodies of pop culture (the worst being a very off the mark Pixar parody) that fail both as a meta commentary but strip away the warmth of what they refer to with their stock characters. It's a remix that offers nothing in the transformation except for butchering sources in an attempt to be witty. There is no center to the story, there is no real cleverness to the dares, there is no heart to be found here. And the lacking heart is what makes it the biggest disappointment.